Parks and High Trek Adventures! 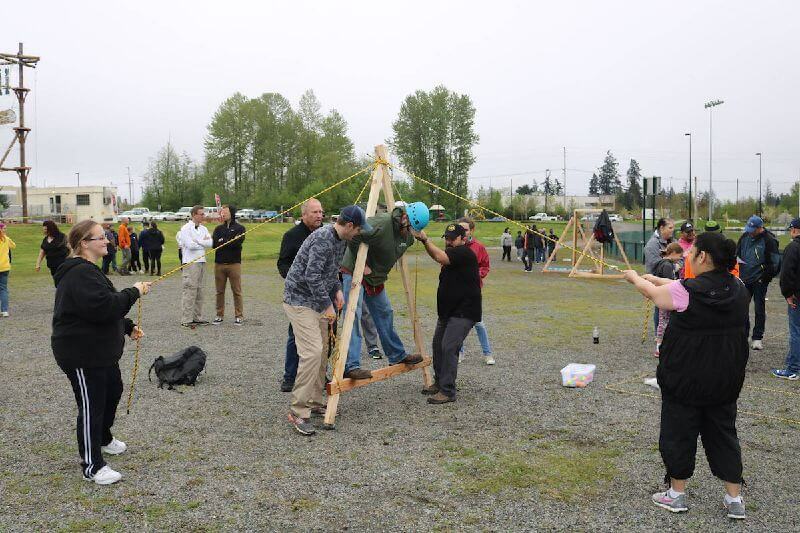 Last May, High Trek Ventures opened a ropes course with ziplines in Everett at Paine Field Park. Over the course of their first year, they welcomed 15,000 participants on the course. This year, they have added mini-golf to make Paine Field Park even more exciting. 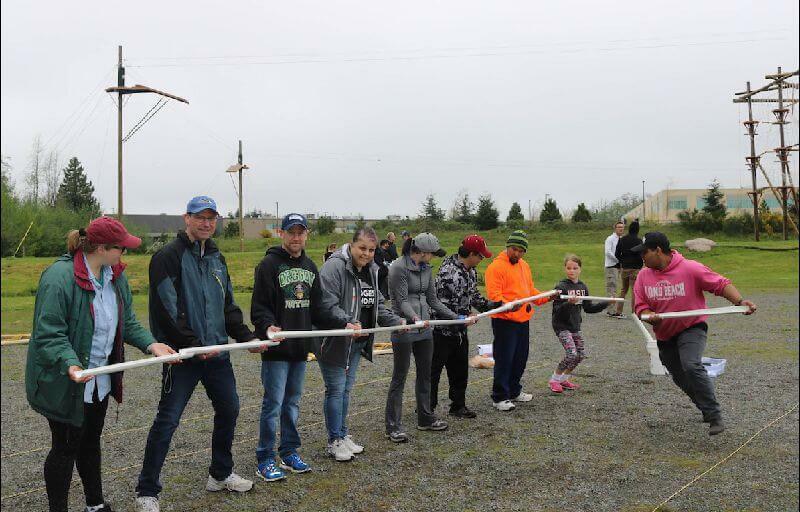 On Wednesday, May 3rd 2017, High Trek Adventures at Paine Field welcomed a group of approximately 50 people from the Tacoma Rescue Mission (TRM) for a day of team building and high ropes challenge course activities. TRM brought clients from their men’s and women’s New Life Program as well as staff and volunteers to the event. The 1-year recovery programs offered by the TRM provide an environment that combines nurturing support with critical structure and accountability. Brad Halbach, the owner of High Trek Adventures (HTA) has been volunteering at TRM over the last 6 months and has been involved in a program called Recovery Beyond Paradigm which works with clients from TRM to train and ultimately climb Mt Ranier each year. Reaching out to the men and women at TRM to be the first visitors to experience our services was a treat for Brad and his staff. 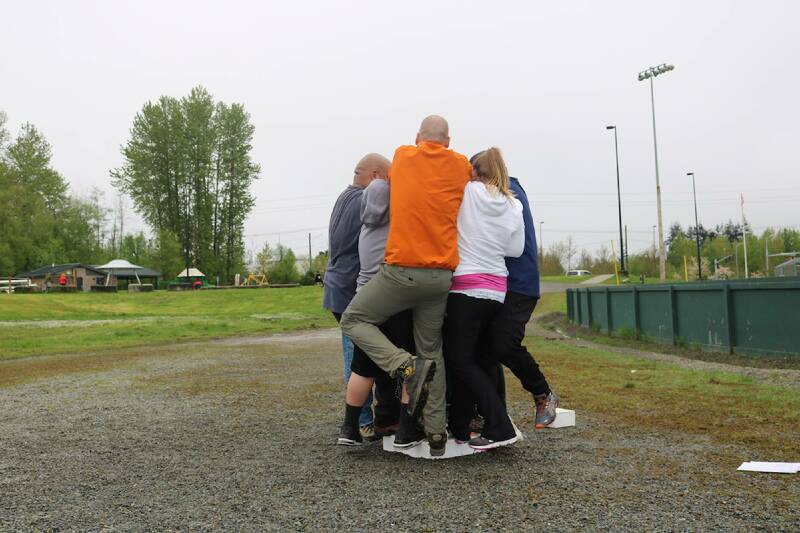 HTA hosted a 4-hour Team Building event which included 7 team building activities to encourage teamwork, communication, and problem-solving skills. For the majority of the guests from the Rescue Mission, this was the very first time they experience anything like this. From there the group had lunch and then got equipped in their harnesses to spend about 90 minutes in the brand new ropes course. 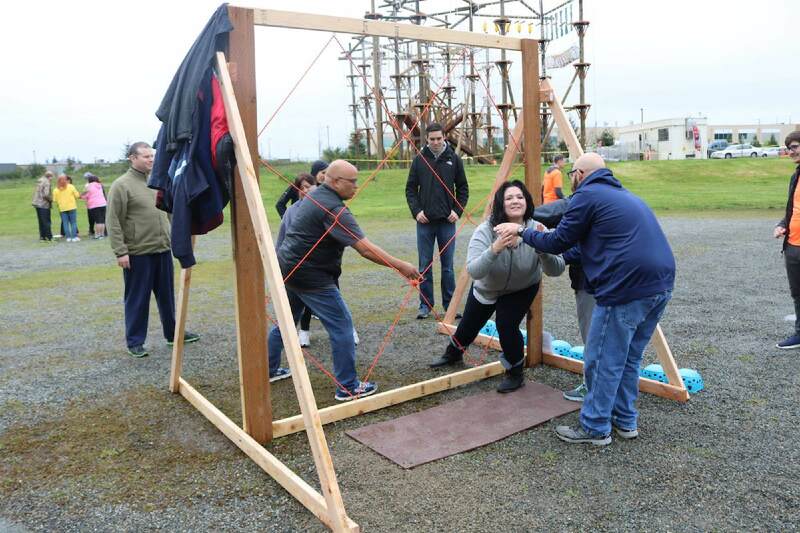 The event was a success and High Trek Adventures is looking forward to the opportunity to hold many great Team Building events for other organizations and companies in the community.